Amos Decker witnesses a murder just outside FBI headquarters. A man shoots a woman execution-style on a crowded sidewalk, then turns the gun on himself. Even with Decker's extraordinary powers of observation and deduction, the killing is baffling. Decker and his team can find absolutely no connection between the shooter--a family man with a successful consulting business--and his victim, a schoolteacher. Nor is there a hint of any possible motive for the attack. Enter Harper Brown. An agent of the Defense Intelligence Agency, she orders Decker to back off the case. The murder is part of an open DIA investigation, one so classified that Decker and his team aren't cleared for it. But they learn that the DIA believes solving the murder is now a matter of urgent national security. Critical information may have been leaked to a hostile government--or worse, an international terrorist group--and an attack may be imminent. Decker's never been one to follow the rules, especially with the stakes so high. Forced into an uneasy alliance with Agent Brown, Decker remains laser focused on only one goal: solving the case before it's too late. 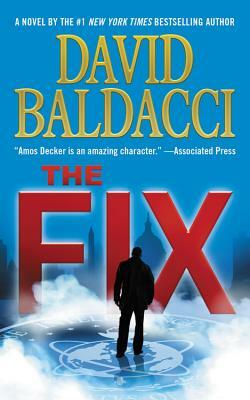 David Baldacci is a global #1 bestselling author, and one of the world's favorite storytellers. His books are published in over 45 languages and in more than 80 countries, with over 110 million copies in print. His works have been adapted for both feature film and television. David Baldacci is also the cofounder, along with his wife, of the Wish You Well Foundation, a nonprofit organization dedicated to supporting literacy efforts across America. He invites you to visit him at www.DavidBaldacci.com and his foundation at www.WishYouWellFoundation.org.